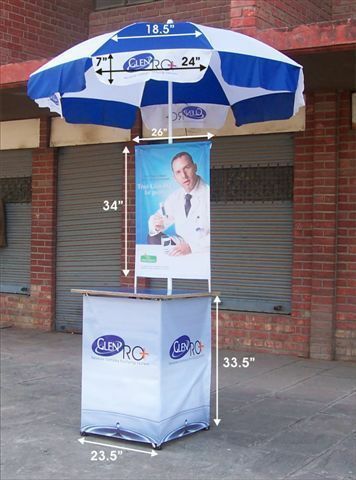 With huge technical expertise and industrial experience, we are able to provide Promotional Table with Umbrella. The offered umbrellas are widely used at beaches and pool side areas for providing protection and shade from sun rays. These are available in various sizes & vibrant colors, as per the requirement of the client. Our clients can avail from us these products at most competitive rates.